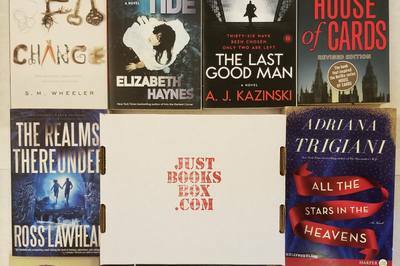 Enter your email address below to receive a notification when JustBooksBox starts accepting new sign-ups! 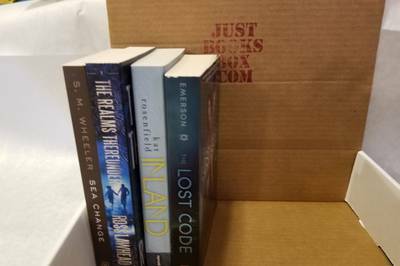 Enter your email address below to receive a notification when JustBooksBox is accepting new sign-ups again. Boxes ship on the 15th of each month. 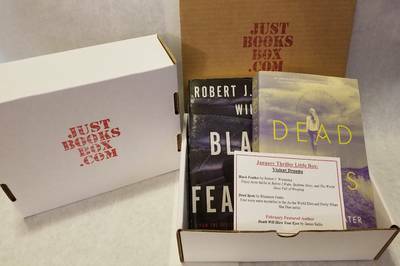 Order by the 14th to get the current Box. 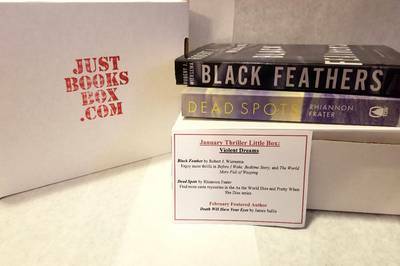 Looking for a Book Box without the extras? 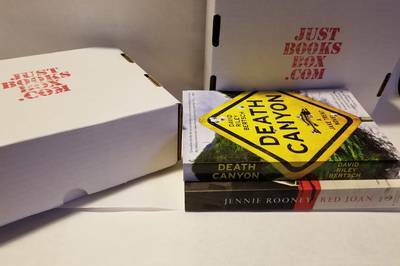 Choose a size (Little Box has two Books; Big Box has four Books). Pick a genre (Fantasy, Paranormal Romance, Romance, Science Fiction, Teen, Thriller, or WhoDunIt). If you enjoy a genuine surprise, try the Mystery Box, where we send you a different genre each month. Kick back and read. 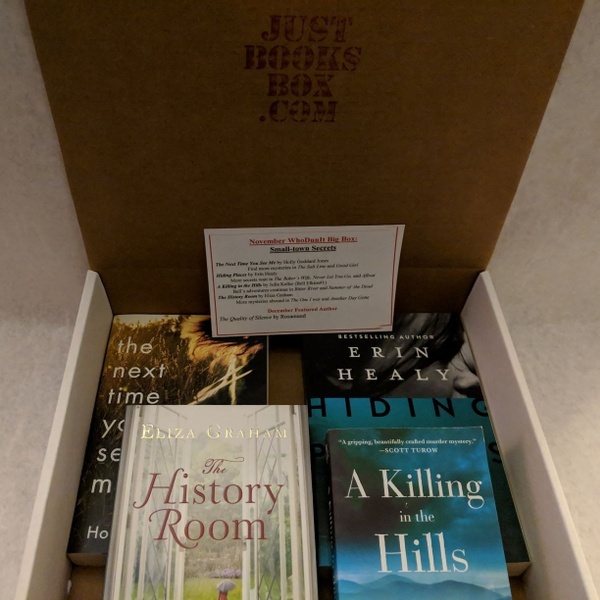 I bought their one time only box off of their website because I'd be in the middle of moving by the time the next subscription box rolled around. I loved it! 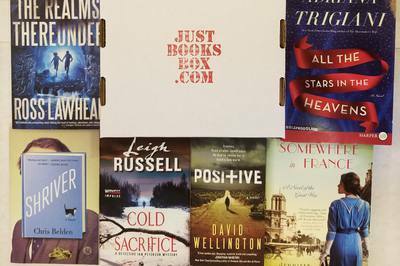 All of them are first-in-series books that I've never heard of and they all look like they will be a great read. Once I get settled in my new apartment I'll purchase the monthly box! 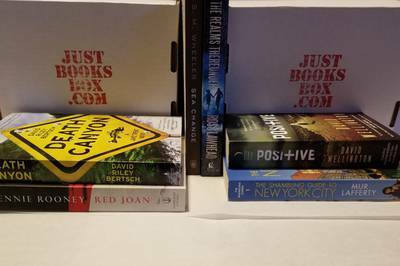 This Big Box included four paperbacks that focus on Small Town Secrets! 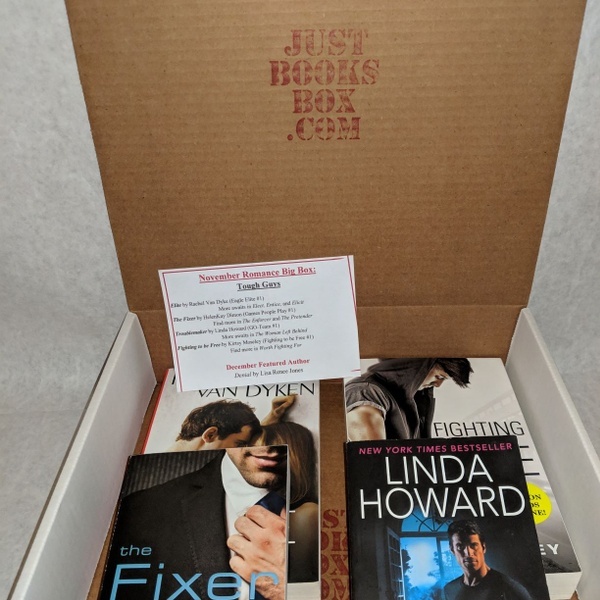 This Big Box included four paperbacks that focused on Tough Guys! 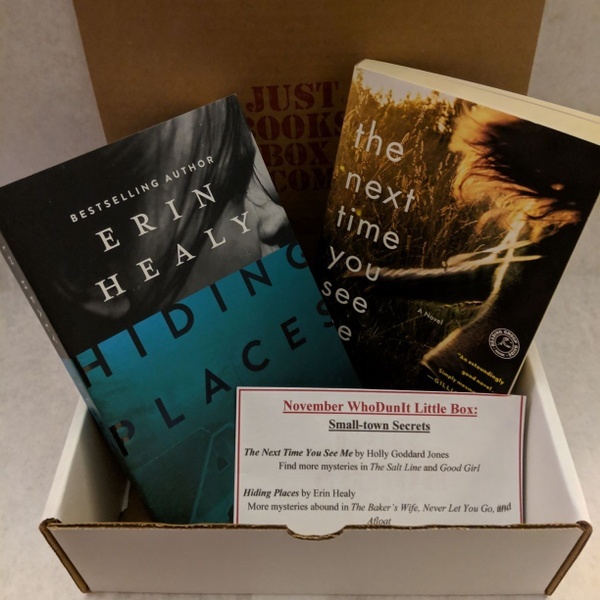 This Little Box included two paperbacks about Small Town Secrets!